Have you noticed how many books about Heaven have become bestsellers in the past few years? There was Heaven for Real, Proof of Heaven, and some others. That got me to thinking about some of the people who have enriched our lives here on earth. I wonder, did we enrich theirs? When we cruise into the real “paradise,” or rather the “entrance channel,” I guess we’re going to find out. For example, I wonder sometimes about the bridge tenders we’ve radioed over the years, faceless and patient, who know us only by the name of our vessel, the sound of our voices on the marine radio, the urgency of the horn. Will I meet a bridge tender in heaven? What will he say to me? How about friends and fellow boaters we lost last year like boating author, Claiborne Young? I’m sure Claiborne is already at work on a Cruising Guide to the waters of his new heavenly home, exploring every river and inlet. I think except for this or that happenstance we would have never met certain people who made our boating trips so interesting. 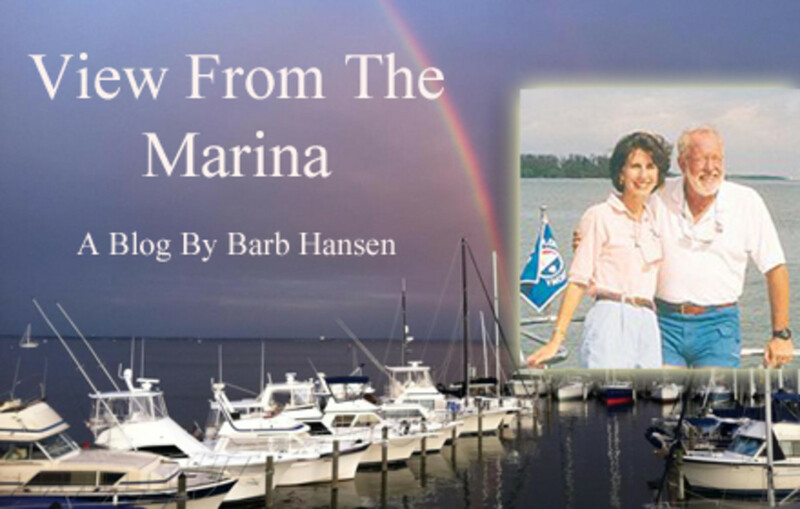 What compelled us to pull into this marina and not another? Why did we take the dinghy to this restaurant, and not that one? The boating life is particularly that way. When you have operated a fleet of 15 private charter yachts, sail and power, for 30 years as Vic and I have you meet a lot of nice people. Dockmasters have scrambled to find slips for our vessels at the last minute. Young assistants have rushed over to help our charters tie up during a hard rain. People in the slips next to our yachts have offered help, supplies, and friendship. We have had engine repair specialists come to our vessels—sometimes in remote locations—and work late into the night to fix something. We’ve had workers rushing to finish a bottom paint job so a boat would be ready for its next charter. I dress these heroes in imaginary wings on earth. I’m certain they’ll be issued real ones in heaven. And so, ask not what other boaters can do for you but what you can do for them. Consider the possibility that the boat you almost upset with your big wake will be the boat first on the scene when you run up on that sandbar ahead. Will they throw you a line? Vic and I are grateful for all of the people who take their jobs seriously and therefore make boating as great as it is. We boaters have to take care of one another. The authorities aren’t really geared to help us except in cases of real emergencies, and by then it may be too late. So, my resolution this year among others is to look after those in our boating family as they have looked after us. I think of it this way: the person we treat well today could save our lives or the lives of our boating customers and friends tomorrow. Otherwise, when we arrive at that that big marina in the sky we just might have a hard time finding a slip. 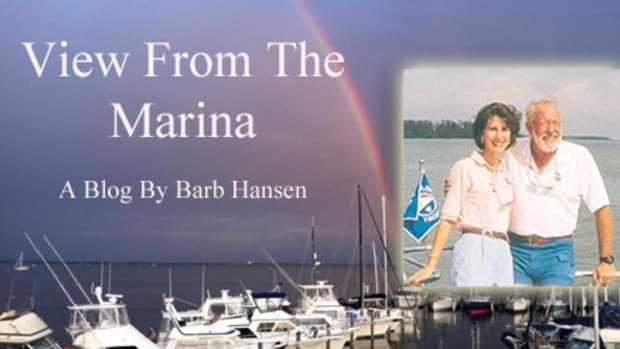 Barb Hansen manages Southwest Florida Yachts, yacht charters and Florida Sailing & Cruising School, 6095 Silver King Blvd., Cape Coral, FL 33914. Email info@swfyachts.com, phone: 800-262-7939 or visit: www.swfyachts.com. or www.flsailingandcruiseschool.com.